Corn Hill Landing in Rochester is a great venue for vessels like the Lois McClure. It has a sound wall for mooring, power and lots of amenities nearby. Corn Hill Navigation offers excellent tours of the Genesse River and surrounding environs. Upon our arrival, the folks of Corn Hill Navigation suggested I speak with the owner of the recently opened iTastea to see about access to his bathroom facility. Yuke Wu had just opened his new tea and noodle shop a week before we arrived. Full of energy, enthusiasm and smiles, he couldn’t have been more helpful. He not only offered us access to his bathroom, he also encouraged us to sit in his warm restaurant on cool, raw days and enjoy free internet access. We of course sampled great fare. Simply put, his creative tea concoctions, both hot and cold, are the best I’ve ever had. 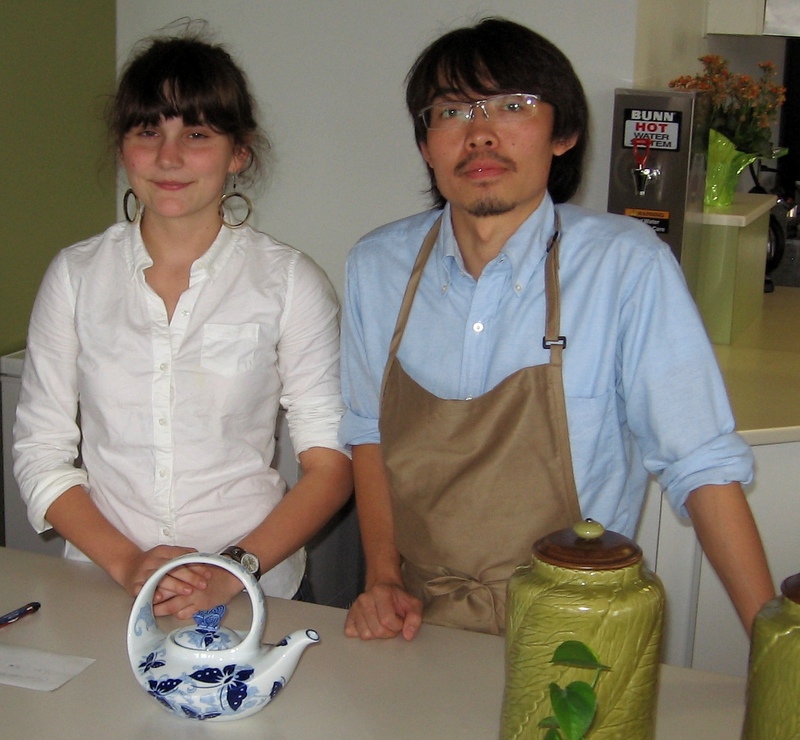 He often gave me samples of delicious foods and teas in a show of wonderful hospitality. The next time you’re in Rochester, do yourself a favor and and visit our new friend Yuke at iTastea. You won’t be disappointed.